We promise to provide you with the highest levels of service and aftercare for your vehicle. This we believe will aid in the maintenance of a high quality vehicle operating at its optimum. We therefore invite you to call us or visit our Service Centre for all your service needs, whether you are a new or existing customer. We will respect your time and schedule an appointment convenient for you. We will maintain a clean, comfortable and friendly environment. We will provide clear and accurate cost and time estimates for work to be done. Ensure that a cleaned vehicle is returned to you at your pickup time. Contact you within 3 working days to obtain your feedback on your service. We want you to be completely satisfied with the on-going quality and performance of your vehicle. You’re the focus of all we do, and we’re committed to providing the highest levels of service and aftercare that you can find. 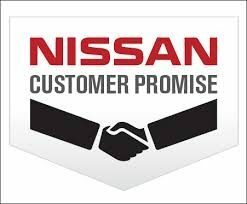 So, whether you are an existing Nissan customer, whether you bought your car new or used, there’s no time limit on how long you can enjoy the benefits from our promises. That is our promise.